Great first buy! This ground floor flat is in the heart of the village, with allocated parking for 2 cars as well as visitor's parking and a lovely lawned communal garden. Just a short stroll to the village green, award-winning Heath Stores and public house and there are miles and miles of countryside walks through orchards and farmland all around the village. The flat has lovely high ceilings and so is light and bright, with a spacious sitting/dining room that has a feature brick fireplace and the bedroom has a floor to ceiling triple wardrobe with further cupboards in the hall and sitting room for plenty of storage. 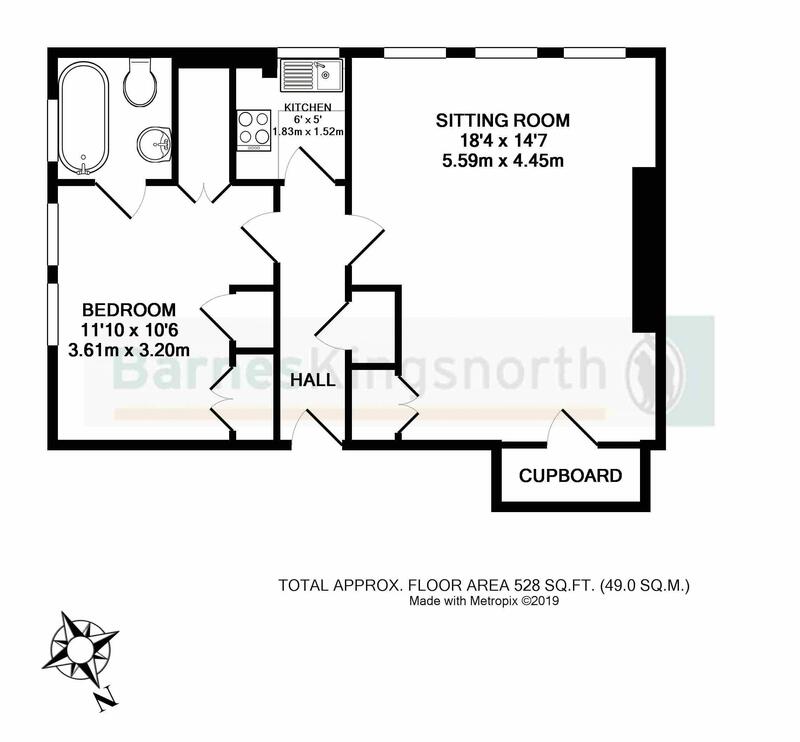 The bathroom has a shower over the bath and there is space for a washing machine in the airing/utility cupboard and modern kitchen with integrated oven and hob. For sale with no onward chain, this property really must be viewed.